APRIL 2011 – If you haven’t heard me talking about the COMIC GEEK SPEAK SUPERSHOW (April 30-May 1) then you haven’t been paying attention. This is my favorite show of the year because of it’s casual atmosphere, great shopping, huge opportunities to learn about indie and mainstream creators and of course, the rocking post parties at Third & Spruce. My plan is inspired by 24-Hour Comic Book Day. I’m going to have a booth where I will be constructing my Black Widow (from The Twelve) costume right at the booth and hope to get it finished early enough to actually have some time wearing it. Since I can’t do 24 hours straight, it’ll be spread across the two days of the show. 1. What’s going to be special about the 2011 Supershow from what fans have experienced in the past? The guest list grew by almost 50%! More creators means more awesomeness including a special new addition this year: the IZZR Alley! Charlito and Mr. Phil of the Indie Spinner Rack podcast have helped to gather a group of creators including GB Tran, Fred Van Lente, Rebekah Isaacs, Fred Chao, Monica Gallagher and more! 2. What post-con activities are planned? As usual, we have a nightly gathering Friday and Saturday nights at one of our local pubs: Third and Spruce (http://thirdandspruce.com/). On Saturday, we’ll have karaoke PLUS! We’ll have a musical set featuring the creative talents of Kirby Krackle, Super Ugly, H2Awesome and more! 3. What is the panel lineup? The list is huge! It’s expanded almost 50% from last year. From Venom’s Tony Moore, to Conan’s Tim Truman, Rebekah Isaacs of the newly announced Angel/Faith series, Young Justice’s Mike Norton, writers Fred Van Lente and Bryan JL Glass, TwoMorrows Publishing appearing for the first time, Sean Gordon Murphy of Joe the Barbarian, Robert Atkins and Tom Feister of the G.I. Joe books, veteran artist Lee Weeks, webcomic divas Danielle Corsetto and Katie Cook, IDW’s Andy Schmidt – it’s like a big family reunion for listeners and creators alike. 4. Are there any changes to the convention hall that guests or attendees need to be aware of before the show? Not necessarily. Our convention isn’t in the usual square windowless convention space. It’s a converted office space, so there are a row of windows, carpet, a lower ceiling. It’s much more “intimate” but adds to the flavor of the convention since you can see all of it in one day. 5. Which back issue vendors will be there? 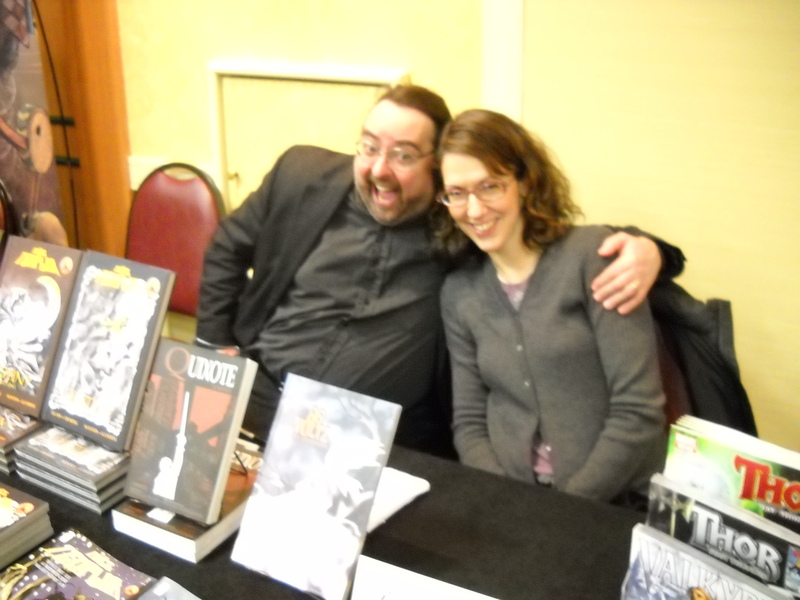 We’ll have our local comic shop, Golden Eagle Comics, represented as we do every year. Most of the hosts on our show met directly or indirectly through Golden Eagle so it only makes sense to include them. Even though the owner, Lem, passed away before the first Super Show, his store is what brought us together. 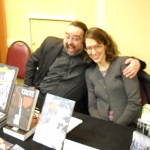 We’ll also have Wild Pig Comics from New Jersey and FearlessReadersOnline.com. 6. Do you have your shiny pants ready for karaoke? 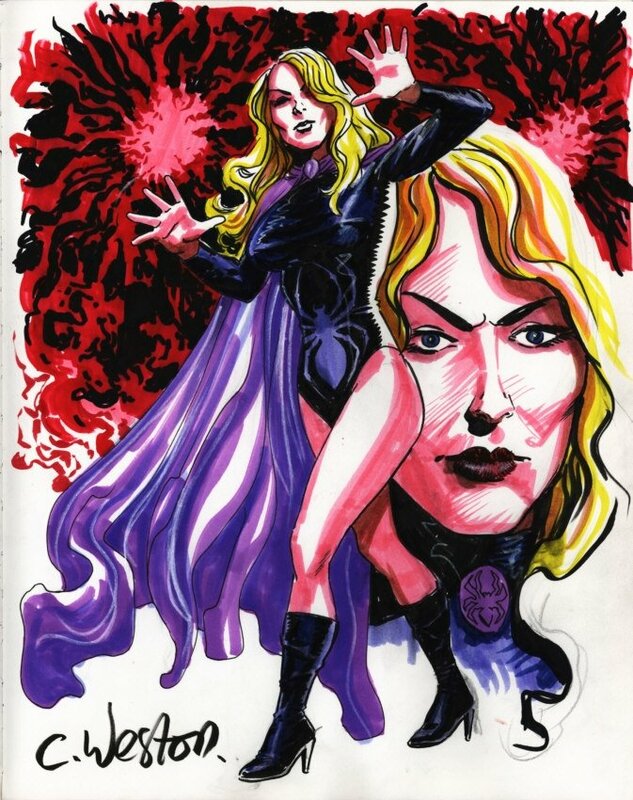 Black Widow is such an awesome character… too bad The Twelve is never going to be completed.